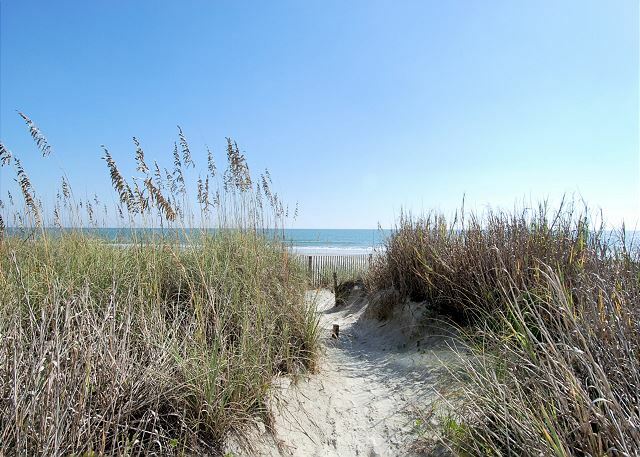 Located in the Crescent Beach section of North Myrtle Beach, Xanadu I offers guests a beautiful view of the beach! 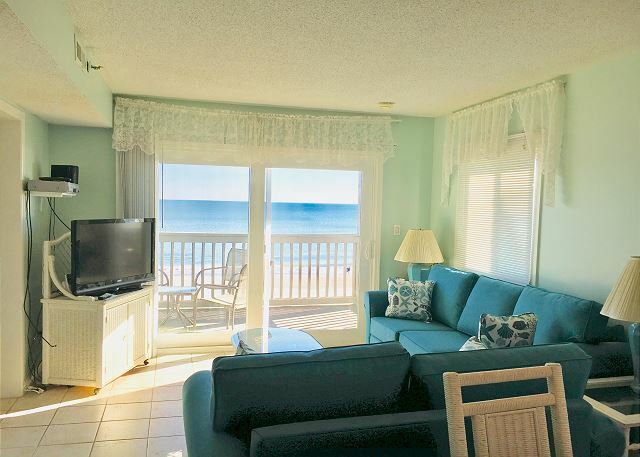 Walk out to your private oceanfront balcony from the living space. The living area has a new sofa and loveseat. The sofa converts to a sleeper sofa, perfect for extra sleeping arrangements for the kids. 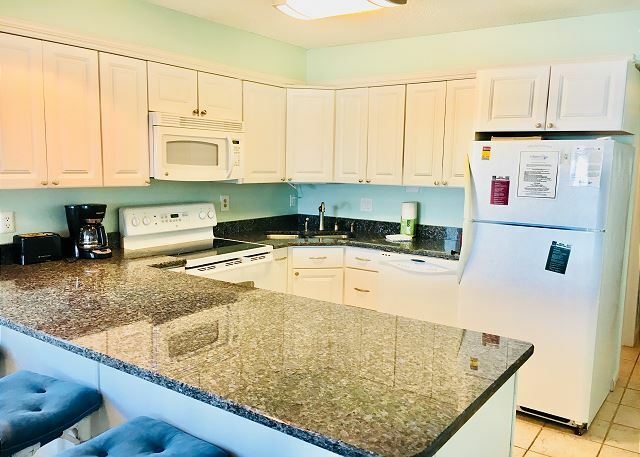 Xanadu I features a sparkling outdoor swimming pool and is close to all of the attractions that North Myrtle Beach has to offer! Dining Room with seating for four and a breakfast bar with seating for four. 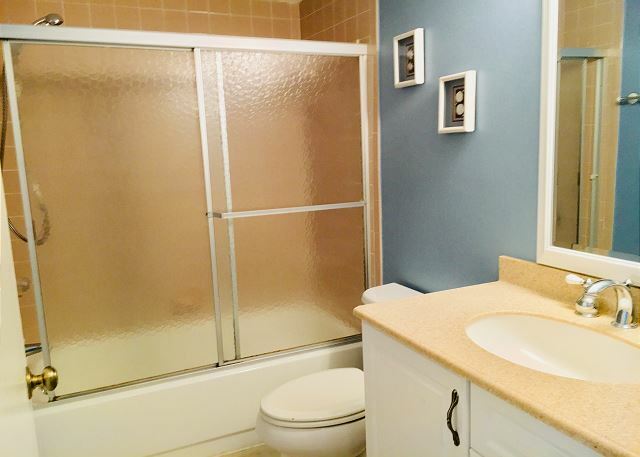 A full size laundry room. 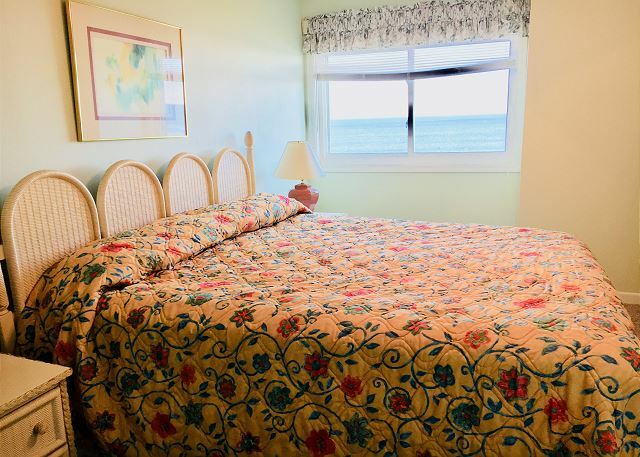 The master bedroom offers a King size bed, a window overlooking the beach, Smart TV, and private restroom. 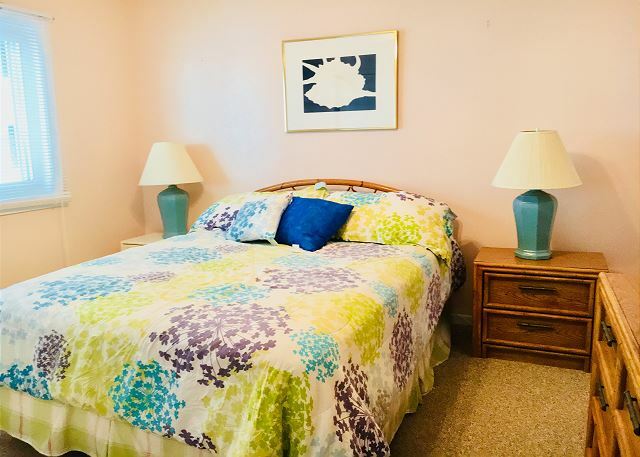 The second Master Bedroom offers a Queen Size bed, flat screen TV, and private restroom. 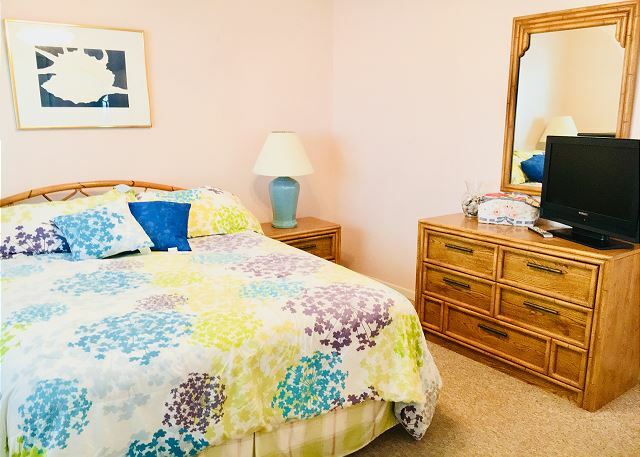 The third bedroom has 2 twin size bed and a flat screen TV. There is a 3rd restroom in the hallway and a laundry room. 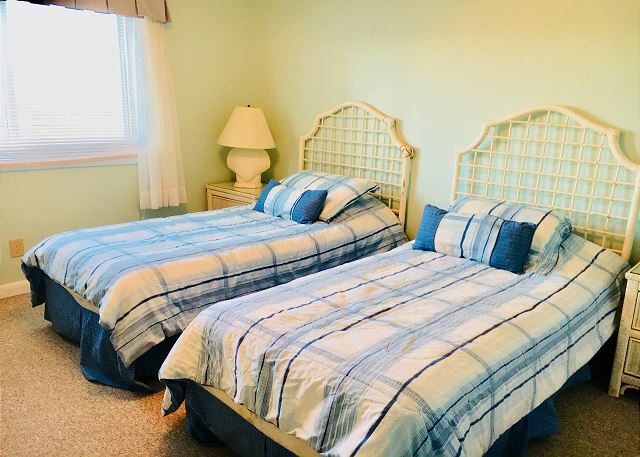 All linens and bath towels are included, except for linens for the sleeper sofa (Queen Size) For your convenience, this home includes WiFi, a washer and dryer, and free parking for 3 cars. Xanadu E4 is a non-smoking property. Smoking is not permitted on the balcony. My family had a great time. 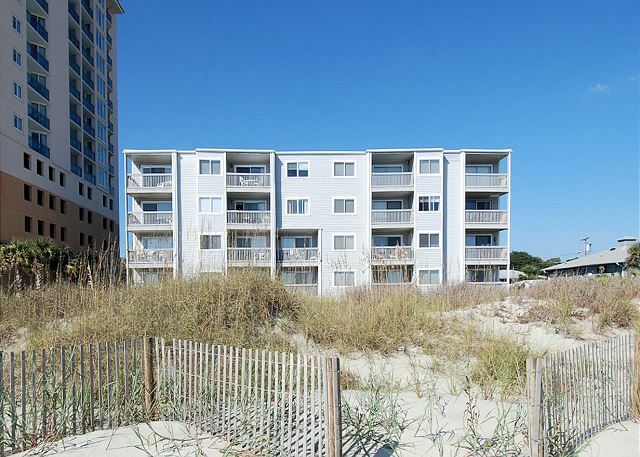 The beach view and condo was perfect. Hope to visit again. Thank you for choosing Southern Coast Vacations and Xanadu E4 for your vacation! We hope to see you again soon. We had a great stay at Xanadu 1 E4 air conditioning was great. We have stayed at this unit before and enjoy staying in it. 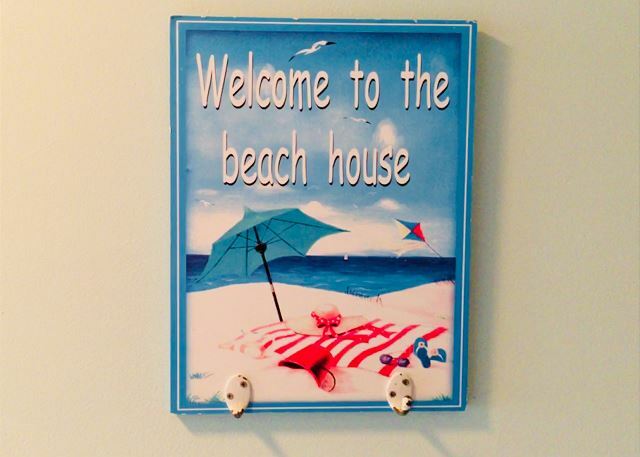 Thank you for choosing Southern Coast Vacations and Xanadu E4 for your vacation stay! Hope to see you next year! Overall, we were fairly satisfied. A couple issues. The lock on the master bedroom door didn't work, which can be a problem with two young grandchildren running around!! The dryer would take two to three full cycles to dry clothes. And there was major sand in the hallways the entire two was never vacuumed out. We are glad that overall you enjoyed your stay with us. Thank you for pointing out things we can improve on as well. 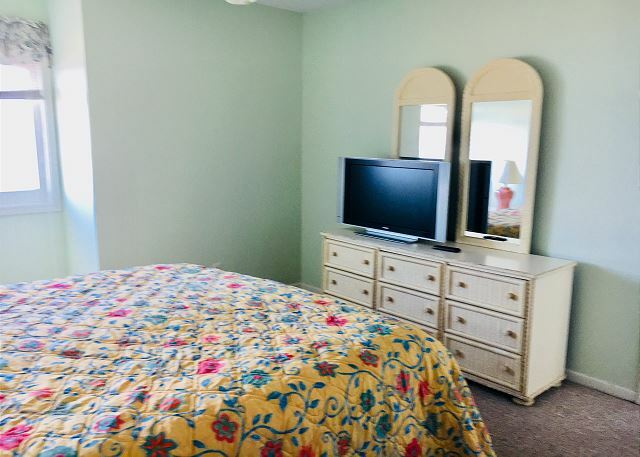 We take our guest feedback quite serious; as it relates to housekeeping; you will be happy to know the dryer was fixed, bedroom lock was switched out and the living room furniture was replaced. We hope this clears up any misunderstandings, and we will see you next year. The ladies at the rental company were wonderful to work with! The location of Xanadu was perfect! 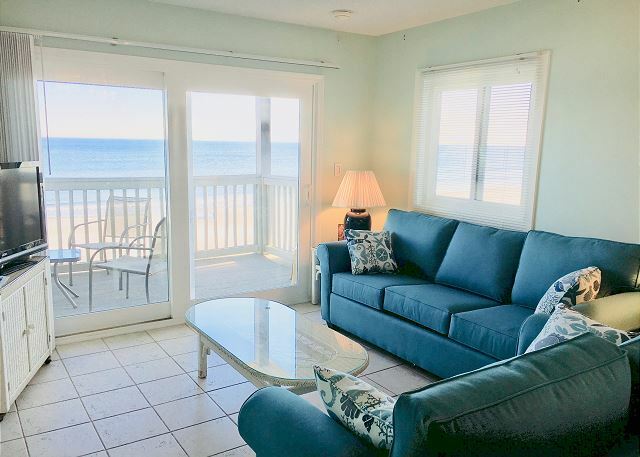 I absolutely loved being able to walk out of our condo and directly onto the beach and to be able to walk out onto our balcony and watch the sunrise with my cup of coffee in the morning. The condo itself was nice, although the furniture, woodwork, and window coverings were a bit worn and in need of some repair. Overall, a wonderful vacation! Rental unit needs some work. 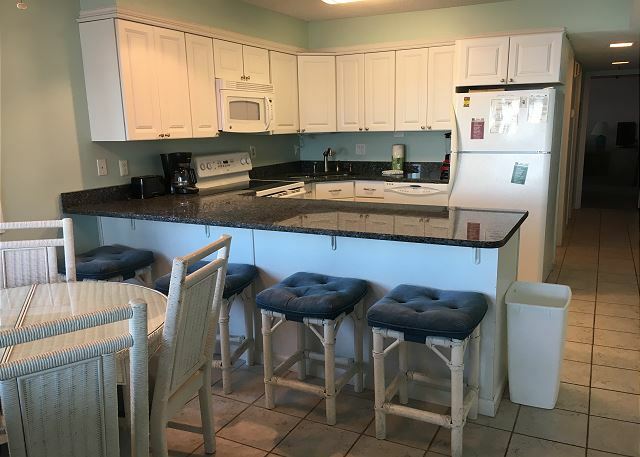 Despite nice new kitchen cabinets and countertops, the owners need to put in effort to do simple repairs and supply basic kitchen goods. The bathrooms were disgusting and some of the limited cookware and kitchen utensils should never be used; they were so filthy and rusty. Building is okay; location is very nice. Overall, our family enjoyed the vacation and the stay at Xanadu E-4. 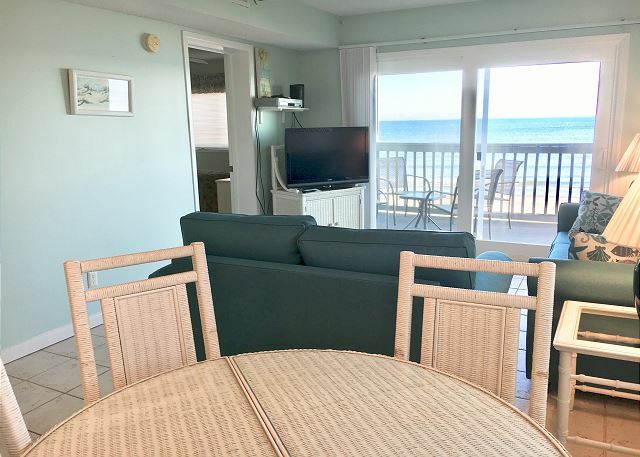 The location of the condo was great with great views and close to shopping/restaurants. The size of the condo was good p, but the furnishings were outdated. The condo was not clean. We enjoyed our stay at Xanadu I E4. Our entire family of 6 adults and 3 children were very comfortable. The kitchen was beautifully updated as were the bathrooms. The in-unit laundry was very handy! Some of the decor was a little dated, but it was serviceable. The master bed was excellent! The slider leading out to the balcony was easy to open and close. And the view! Could not get any better! We hope that you stay with us again. Thank you for your feedback and kind words. We totally enjoyed our stay at Xanadu. Thank you Dawn! Please come back to Xanadu and see us again! Will never stay anywhere else!! This is the absolute perfect condo for me and my family. We lived everything about it and will definitely be staying here aging! Thanks Tracy! It was our pleasure to have you as a guest! Hope to see you in 2017!